Kigali Art Gallery offers accommodations and the property is well located in Kacyiru, near public library, easy walk to bus station, art galleries like Inema Arts Center, walking distance from Brioche and Shocolat Cafe, and People dance venue. 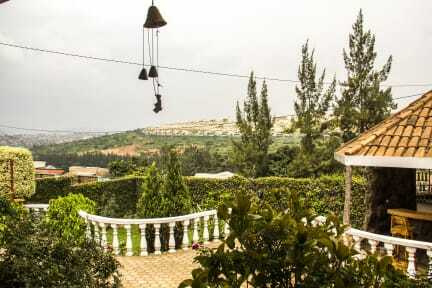 Guests can enjoy the on-site bungalow and terrace. Free private parking is available on site. Certain units include a sitting area to relax in after a busy day. 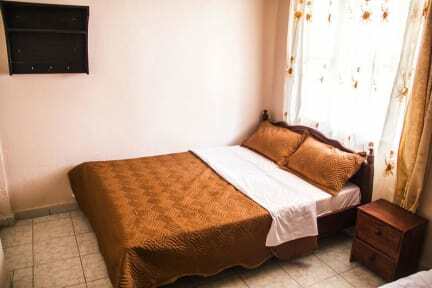 Each room is equipped with a private bathroom fitted with a hot shower available. For your comfort, you will find free toiletries and a towel. The hotel also provides car rental. The nearest airport is Kigali International Airport, and nearest main bus park from east african countries is Nyabugogo. Advertised a "4-bed room." Turned out to be a room with two full sized beds. Crammed for four people especially considering we thought we would all have our own bed. Address listed on hostelworld was incorrect which lead to a lot of confusion with the local taxi cabs. Also advertised a restaurant and bar but neither were open during our stay. They served a simple fruit plate and toast for breakfast, good but not a restaurant. Finally they were painting rooms one day and made the place smell.